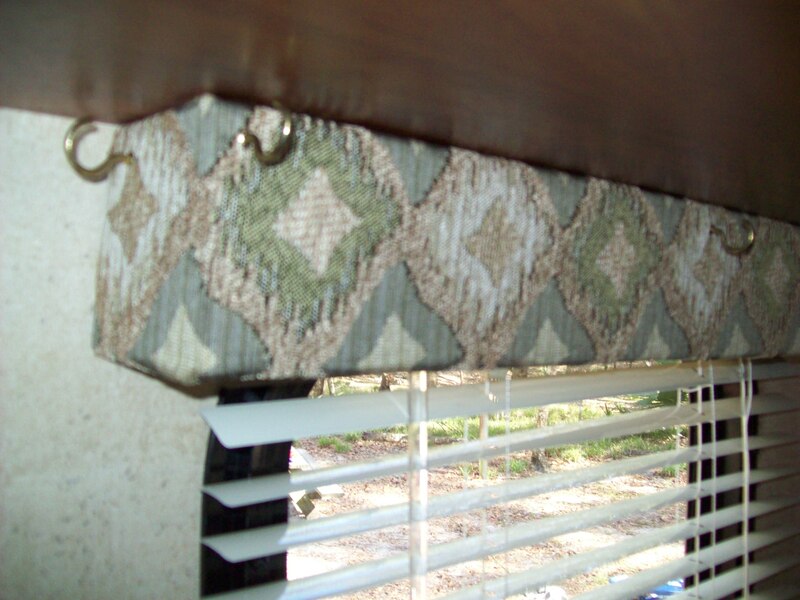 Our trailer has built-in Venetian blinds on the windows and while these block the sun and offer some privacy during the day, after nightfall, anyone who walks by can easily see around the edges of the blinds and into the fully-lit living space. This was unacceptable and I had to figure out a remedy. The nice thing about fleece is that it washes up well and doesn’t ravel, so I didn’t have to worry about hemming it at all. 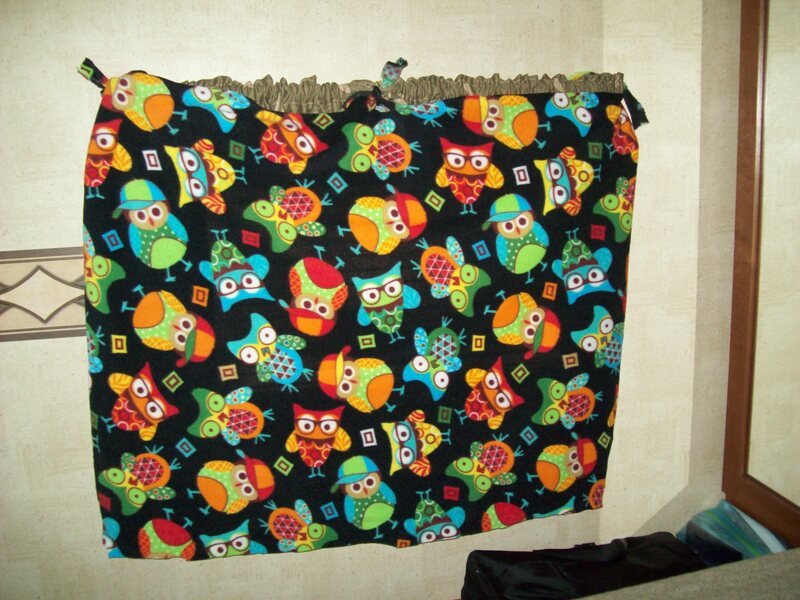 I just measured the windows, cut the fabric to fit, then cut holes across one long edge to tie it to the curtain rod with strips of the same fabric. When I got to the kitchen window, I realized that it didn’t have curtain rods, but a wooden box flush with the bottom of the cabinet. My husband put cup hooks across the top for me, and I didn’t have to worry about cutting the extra strips, just little holes to hang it from the hooks. I’m very pleased with the result, and Hubby had to agree that the little owls are pretty cute. On our first camp-out last summer, I took along a journal and a file folder full of photos I’d pulled from different magazines. 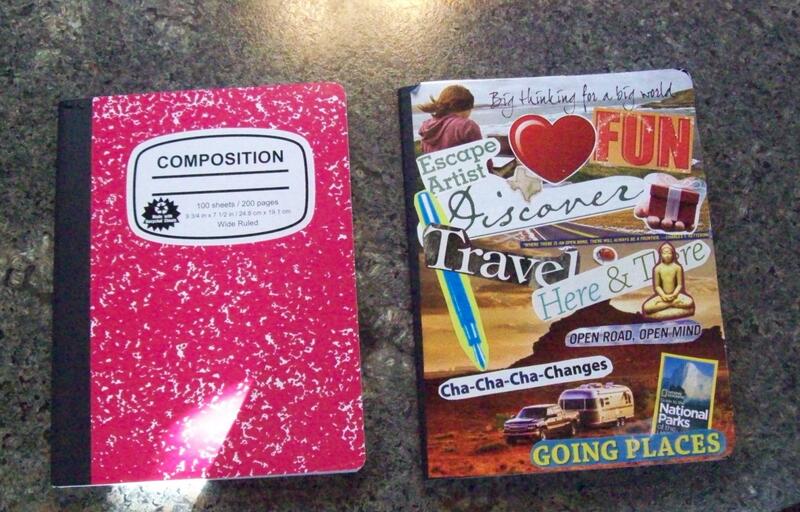 I took a simple composition book (99¢ at Target, sometimes half that during back-to-school sales) and pulled out all the pictures and words that looked like things that I would plan or hope for on our new adventures. Our first two trips, I wrote entries at the time, and then I lost the journal for several months among all my other journals and magazines and general stuff. A few weeks ago it magically re-appeared and I filled in the intervening dates and camping spots, allotting two pages per weekend trip. Now I just have to do a little mental time travel by looking at our photos from those trips. We collect magnets (when the parks have magnets – they don’t always) and our stove hood, the only magnetic place in the trailer, has been our collection spot. We’re trying to figure out the best place to mount a magnetic board, since there’s not a whole lot of room above the stove and we plan on collecting LOTS of magnets! 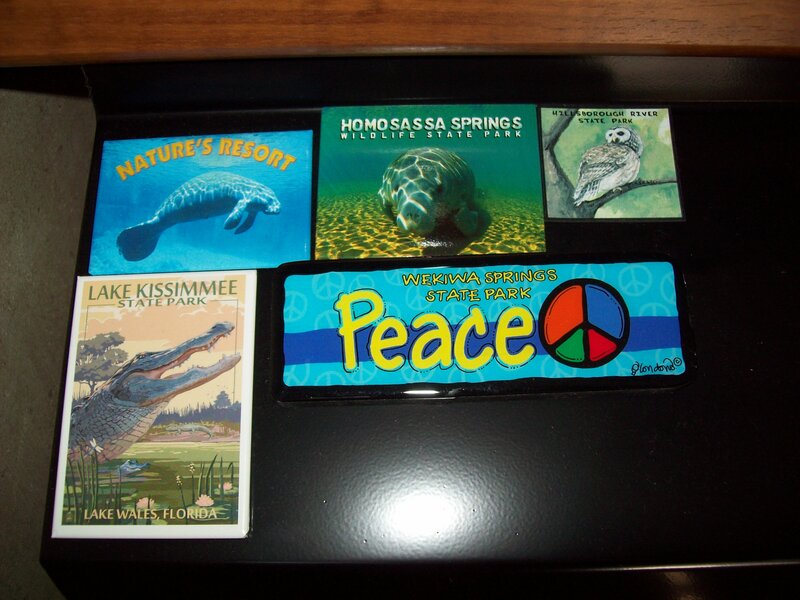 Our trip to Highlands Hammock is chronicled here. We’ve learned something new on almost every trip, so I hope to have lots to share. Well, at least we’re on our way once a month. As soon as we figure out that whole income-independent-of-location piece, we’ll be seriously hitting the road. 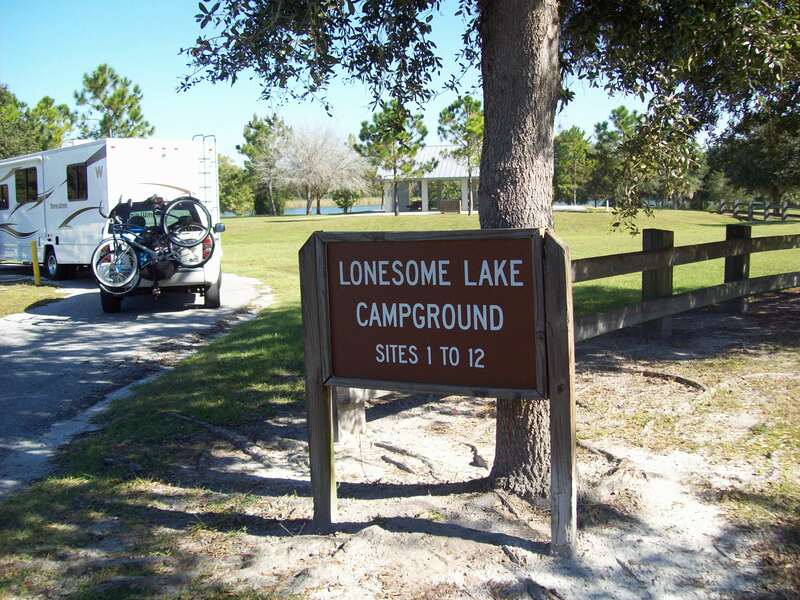 Until then, we will continue to have our once-a-month getaways into nature via Florida’s amazing state park system. Along the way, we hope to become better acquainted with our new trailer and test if we can actually live together in such close quarters for extended periods of time. Woohoo!